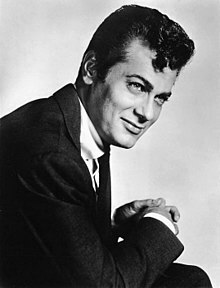 Tony Curtis (born Bernard Schwartz; Juin 3, 1925 – September 29, 2010) wis an American film actor whase career spanned 6 decades but wis maistly popular in the 1950s an early 1960s. He actit in mair nor 100 films in roles coverin a wide range o genres, frae licht comedy tae serious drama. In his later years, Curtis made numerous televeesion appearances. This page wis last eeditit on 9 Apryle 2017, at 00:38.